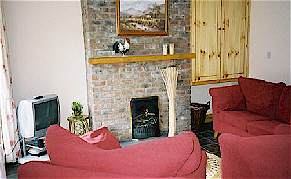 ROSE COTTAGE is one of two - two storey cottages at Mill Farm - the third cottage Brook Cottage is a bungalow style cottage. ROSE Cottage has three bedrooms - single bedroom downstairs with ensuite and two bedrooms upstairs - one with double bed and another bedroom with double and single bed. Cot/Highchair available on request - no extra charge. Open plan kitchen & living area - easy access to the play area and enclosed garden. Lots of outdoor seating on the grounds to enjoy during the good weather. If you would like to book mid-week, weekend or for short stays please enquiry via email. Thank You.